A dazzling glory of a book that’s not just a treat to read, but an artwork in itself: a place to discover the magic of great illustrations. In a 1950s-style future, Jack and his mum live at the edge of a modern metropolis, where they run a little burger cafe. Then a huge flyover opens, taking their customers away. Soon Jack and his mum are close to broke. 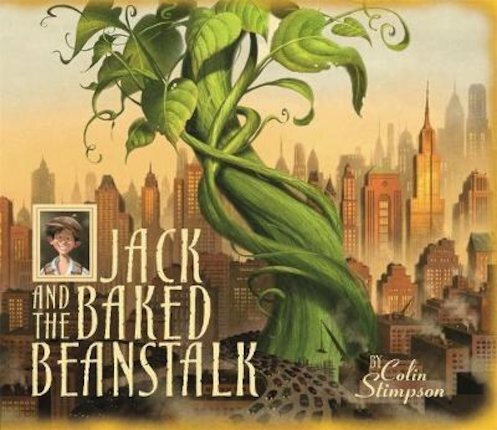 But when Jack buys a can of baked beans with their last pennies, and his mum throws it out of the window, a gigantic baked beanstalk adventure starts!